Dissociation is defined as the separation of those processes that should be accessible, considering that both somatoform and conversion symptoms may be understood as dissociative. In recent decades, psychological variables have been related to dissociation, such as suggestibility, fantasy, alexithymia, abnormal emotional processes, and also a particular personality profile. The aim of this paper is to study the profile associated with psychoform and somatoform dissociation. The sample consisted of 355 participants. University students employed the snowball sampling. The following instruments were used: the Dissociative Experiences Scale-II (DES-II), the Questionnaire Somatoform Dissociation (SDQ-20), the Inventory Suggestibility (IS), the Alexithymia Scale Toronto (TAS-20), the Scale Difficulties in Emotion Regulation (DERS), the revised NEO Personality Inventory (NEO-PI), and some ad hoc questions to evaluate sleep-related experiences. The results indicated that high dissociators showed higher scores on suggestibility, alexithymia, sleep- related experiences, neuroticism, openness to experience, and lower conscientiousness than low dissociators, the results being similar to those obtained by high somatizers. As a conclusion, the profile found in both types of dissociation indicated their existing relationship, and pointed out possible lines of future research and treatment. La disociación se define como la separación de procesos que deberían ser accesibles, considerándose que los síntomas somatomorfos y conversivos pueden entenderse como disociativos. 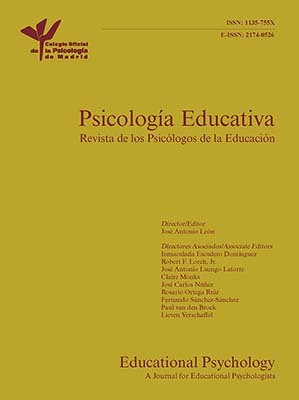 En las últimas décadas se han encontrado variables psicológicas relacionadas con la disociación, como la sugestionabilidad, la fantasía, alexitimia, alteraciones en los procesos emocionales y un perfil concreto de personalidad. El objetivo de este trabajo es estudiar el perfil asociado a la disociación psicoforme y somaforme. La muestra estuvo compuesta por 355 participantes. El muestreo consistió en la bola de nieve por parte de estudiantes universitarios. Para su realización se utilizó la Escala de Experiencias Disociativas-II (DES-II), el Cuestionario de Disociación Somatoforme (SDQ-20), el Inventario de Sugestionabilidad (IS), la Escala de Alexitimia de Toronto (TAS-20), la Escala de Dificultades en la Regulación Emocional (DERS), el Inventario de Personalidad NEO revisado (NEO-PI) y preguntas elaboradas ad hoc para evaluar experiencias relacionadas con el sueño. Los sujetos con elevada disociación mostraron mayores puntuaciones en sugestionabilidad, alexitimia, experiencias de sueño, neuroticismo y apertura y menores en responsabilidad, de forma muy similar al grupo de sujetos de elevada somatización. 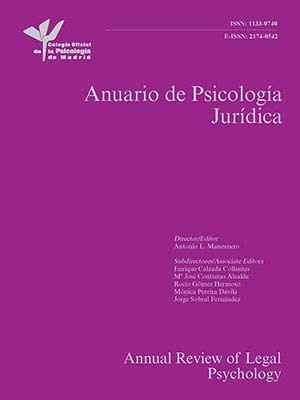 Puede concluirse que el perfil hallado en ambos tipos de disociación refleja la relación existente entre ambas y señala posibles líneas de investigación y tratamiento futuros. Dissociation refers to the alteration of an individual's identity, with a loss of the integration of contents in consciousness (Bernstein & Putnam, 1986), being outside of voluntary control (Nemiah, 1991), and affecting memory, identity, and the perception of the environment and time (Cardeña, 1994). Currently, the prevalence of these disorders is around 1% (American Psychological Association, APA, 2014); regardless of the presence of other comorbid disorder, the overall performance of these patients is severely damaged (Mueller-Pfeiffer et al., 2012). In the past few years, the development of assessment instruments such as the Dissociative Experiences Scale (DES; Bernstein & Putnam, 1986), along with the inclusion of studies with non-clinical population, have allowed us to consider the dissociation as a continuum. This interpretation leads to contemplate dissociation as a psychological mechanism which is present to a greater or lesser extent in the entire population (Holmes et al., 2005). The inclusion of conversion disorders within dissociative disorders remains essential for many authors, assuming the same process of splitting of consciousness (Scaer, 2001). In this sense, dissociation would encompass the psychoform dissociation –classic dissociative symptoms, amnesia, depersonalization– and the somatoform dissociation –somatoform and conversive symptoms (Nemiah, 1991; Nijenhuis, Spinhoven, Van Dyck, Van der Hart, & Vanderlinden, 1996). With the aim to understand dissociation, in recent decades several psychological variables have been individually studied. In the field of personality, the most common profile is characterized by higher levels of neuroticism (Kwapil, Wrobel, & Pope, 2002) and openness to experience (Groth-Marnat & Jeffs, 2002; Vannucci & Mazzoni, 2006), as well as lower levels of agreeableness and conscientiousness (Kwapil et al., 2002). Suggestibility has been closely associated with dissociation (Giesbrecht, Lynn, Lilienfeld, & Merckelbach, 2008), gaining special relevance in the forensic (Chae, Goodman, Eisen, & Qin, 2011) and clinical fields (Woody & Browers, 1994). Empirically, the results are contradictory, finding results for (Marcusson-Clavertz, Terhune, & Cardeña, 2012) and against (Maxwell, Lynn, & Condon, 2015). To explain this discrepancy, it is hypothesized that the relationship between dissociation and suggestibility would be mediated by absorption and fantasy (Dienes et al., 2009). One of the variables which have become increasingly important in recent years is sleep. A relationship has been found between the tendency to dissociate and different sleep-related experiences such as hypnopompic images, sense of presence, worsening of dissociative symptoms in sleeping deprivation (Kloet, Giesbrecht, & Merckelbach, 2015; Kloet, Merckelbach, Giesbrecht, & Broers, 2014), and higher frequency of lucid dreams. These findings suggest that dissociators may have an ability to manipulate the content of the dreams as an effect of their imagination and attentional capacity absorption (Fassler, Knox, & Lynn, 2006). Within emotional characteristics, although alexithymia is considered a separate construct of dissociation component due to the externally-oriented thinking (Tolmunen et al., 2010), it seems to be more related to somatoform dissociation and conversion symptoms (Meyers, Fleming, Lancman, Perrine, & Lancman, 2013), which may indicate that alexithymia is differentially associated depending on the type of dissociation. 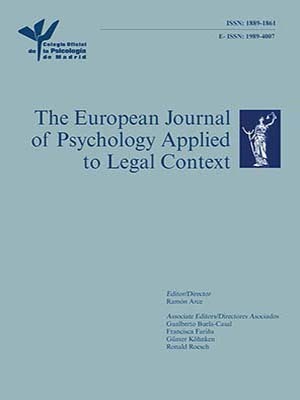 Finally, it has been proposed that dissociation may be a strategy of adjustment used to face higher levels of arousal, but it can lead to a maladaptation increasing the discomfort of the individuals, showing a relationship between difficulties in emotional regulation and dissociation (Powers, Cross, Fani, & Bradley, 2015). In this sense, this relationship is particularly relevant in the link between the presence of dissociative symptoms and emotional dysregulation (Meyers et al., 2013; Moulton, Newman, Power, Swanson, & Day, 2015). For all these reasons, it becomes important to tly study and explore the psychological profile associated with both subtypes of dissociation, being the main objective of the present study. The initial sample consisted of 389 participants recruited from the general population, although 34 were removed for the final analysis because they did not properly complete the assessment battery. Therefore, the final sample comprised 355 participants. The age of the subjects ranged from 18 and 65 years (mean age=34.88 and standard deviation=14.43), and there was a 40.28% of males (n=143, mean age=35.47, standard deviation=14.88) and a 59.72% of females (n=212, mean age=34.67, standard deviation=14.13). Data was collected by students from the Camilo José Cela University and the Complutense University of Madrid through the snowball sampling method. These university students were instructed with the experimental protocol, and each of them had to evaluate 3 males and 3 females after signing an informed consent. The assessment protocol was completed in two 1.30-hour sessions. Dissociative Experiences Scale II (DES-II; Carlson and Putnam, 1993; Icarán, Colom, & Orengo-Garcia, 1996). It is a self-reported scale of 28 items which s the presence of a wide range of experiences and dissociative phenomena (amnesia, depersonalisation, derealisation, and absorption). Test-retest reliability ranged from .78 to .93, and the internal consistency was .93. In the sample analysed, a Cronbach's alpha of .91 was obtained. Somatoform Dissociation Questionnaire (SDQ-20; Nijenhuis et al., 1996). This questionnaire consists of 20 items that evaluate somatoform dissociation symptoms, as tunnel vision, analgesia, localized pain, or pseudo-epileptic crisis. For the present study a Holm's (2002)translated version was used. SDQ's Spanish version has shown very good internal consistency, with a Cronbach's alpha of .866 and convergent validity with DES (Bernstein & Putnam, 1986) of .64 (González-Vázquez et al., 2017). In the present study, the instrument showed a Cronbach's alpha of .84. Inventory of Suggestibility (IS; Gonzalez-Ordi & Miguel-Tobal, 1999). This inventory consists of 22 items and offers a general measure of suggestibility, encompassing four subscales: fantasize, absorption, emotional involvement, and suggestibility (Salguero, Ruíz, Fernández-Berrocal, & González-Ordi, 2008). The IS psychometric characteristics indicate a good test-retest reliability (.70) and a good internal consistency, with alpha=.79 (Gonzalez-Ordi & Miguel-Tobal, 1999). In this study the IS showed a Cronbach's alpha of .85.
. This scale provides a global score, and also a specific score for the following factors: confusion of the emotion with bodily sensations, emotional language deficits, and externally-oriented thinking. Reliability indices in the Spanish adaptation a good internal consistency, with a Cronbach's alpha of .78, and a test-retest reliability of .71, with a reliability of .85 in the sample used. Difficulties in Emotion Regulation Scale (DERS; Gratz & Roemer, 2004; Hervas & Jodar, 2008). DERS consists of 28 items and assesses the difficulties in emotion regulation, providing both a total score and scores on five scales: (1) attention to emotions, (2) confusion in identifying emotions, (3) rejection of emotions, (4) interference of emotion, and (5) lack of control in the regulation of emotions and feeling of overflow of emotions. In the present study, this instrument showed a Cronbach's alpha of .94. Revised NEO Personality Inventory (NEO PI-R; Costa & McCrae, 1992; Cordero, Pamos, Seisdedos, & Costa, 1999). The inventory assesses the factors of the Big Five personality model: neuroticism (anxiety, angry hostility, depression, self-consciousness, impulsiveness, and vulnerability), extraversion (warmth, gregariousness, assertiveness, activity, excitement seeking, and positive emotions),openness to experience (fantasy, aesthetics, feelings, actions, ideas, and values), agreeableness (trust, straightforwardness, altruism, compliance, modesty, and tender-mindedness) and conscientiousness (competence, order, dutifulness, achievement striving, self-discipline, and deliberation). General reliability indices a good internal consistency, ranging between .90 and .82 for the different factors. Sleep. To assess problems and sleep-related experiences, the following ad hoc questions were prepared for the participants: (1) sleep problems in the past two weeks, (2) daytime sleepiness in the last two weeks, and (3) frequent presence of nightmares. These three questions were stated in dichotomous terms (Yes/No). In addition, participants were also asked about: (1) hours of sleep during the day (participants should write down the average of the number of hours they sleep each day) and (2) frequency of lucid dreams (in this case, the answer in a Likert scale format, 1 was never and 5 almost always). Participants were split into two subgroups according to the clinical endpoints in DES (van Ijzendoorn & Schuengel, 1996): low dissociators (scores<6) and high dissociators (scores> 30). The low dissociators group consisted of 117 participants and the high dissociators group consisted of 21 subjects, representing a 5.9% of the total. Results showed that high dissociators differ significantly from low dissociators in different variables (see Table 1). High dissociators exhibited greater scores in somatoform dissociation (U=377.0, p <.01), IS (U=453.0, p <.01), fantasize (U=299.0, p <.01), absorption (U=519.5, p <.01), alexithymia levels (U=236.5, p <.01), except in externally-oriented thinking, DERS and all its subscales (U=253, 0, p <.01), neuroticism (U=513.5, p <.01), facets of hostility (U=617.0, p <.01), depression (U=618.5, p <.01), and search of sensations (U=597.5, p <.01), showing a large effect size (Cohen's d> 0.08). Mann – Whitney's U Test between High and Low Pychoform Dissociators. Note. Only significant differences between groups are shown. On the contrary, high dissociators showed lower average scores in agreeableness (U=607.5, p <.01), conscientiousness (U=594.0, p <.01), trust (U=493.0, p <.01), altruism (U=671.0, p <.01), competence (U=619.5, p <.01), dutifulness (U=531.0, p <.01), and deliberation (U=461.5, p <.01), with a large effect size (Cohen's d> 0.08). In the rest of the significant differences between both groups, the effect size was low or moderate. In relation to the presence of sleep problems, differences were found between both dissociators groups, 22.7% of the low dissociators showed sleep problems and 65.2% of high dissociators indicated this kind of problem, χ2(1)=14.757, p 2(1)=6.996, p=.008. Finally, 5.9% of low dissociators presented frequent nightmares, while the 21.7% of the high dissociators reported this complication during sleep, χ2(1)=4.313, p=.038. Based on the level of somatoform dissociation measured by the SDQ-20, two groups were formed. To this end, criteria for discriminative validity from the questionnaire in different clinical populations (Nijenhuis et al., 1996; Sar, Kundakci, Kiziltan, Bakim, & Bozkurt, 2000) were considered. In this scale, scores greater than 30 discriminate dissociative and somatoform disorders. The group of low somatoform dissociation was defined with scores on the SDQ-20 equal to 20, which was the minimum score on the scale, and comprised 177 participants. The group of high somatoform dissociation was composed for 16 participants, representing the 4.5% of the whole sample. Results showed that participants with high scores on the SDQ-20 did significantly differ from participants with low scores in the following factors: DES total score (U=301.5, p U=489.5, p <.01), s fantasize and suggestibility scales, alexithymia total score (U=700.0, p <.01), confusion and emotional language subscales, DERS (U=369.5, p <.01), and rejection, interference, and lack of control subscales. In all these measurements the mean score was higher in the group of high somatoform dissociation with a large effect size (see Table 2). Regarding the personality, the group with higher somatoform dissociation showed greater scores in neuroticism (U=654.5, p <.01) and impulsiveness (U=774.0, p <.01), with a Cohen's d greater than 0.80. Other significant differences between groups showed a medium effect size. Mann-Whitney's U test between High and Low Somatoform Dissociators. Regarding the presence of sleeping problems, significant differences between both groups were found. In the low group of somatoform dissociations, 21.0% presented sleep problems, while in the high group this percentage was 88.2%, χ2(1)=32.496, p 2(1)=8.042, p=.005, in the high group. Finally, in relation to the presence of frequent nightmares, differences were found between both groups χ2(1)=28.338, p <.001, being more frequent in the group of higher somatizers (64.7%) than in the lower somatizers one (11.7%). Looking at the profiles that have been obtained, the group of high dissociators presents higher scores in somatoform dissociation; in the same vein, the high somatizers’ group presents higher dissociation levels. This agrees with the theoretical proposals that consider both types of symptoms as dissociative (Nijenhuis et al., 1996). This is especially relevant in the clinical practice and in the understanding of underlying processes. As for the prevalence in the sample of participants with high dissociation scores, 5% of the sample scores are beyond the clinical cut off point for the dissociative symptomatology, being much higher than the prevalence found in other studies, placing it at 1% (American Psychological Association, APA, 2014). Although it is not possible to conclude that these participants have a dissociative pathology, this data highlights the relevance of this type of symptomatology. In the psychoform dissociation, the profile found indicated higher levels of difficulty in emotional regulation, which was associated with rejection, lack of control, and emotional interference (but not with their neglect). This may indicate a fundamental objective in treatment, since dissociation appears to be an ineffective long-term emotional regulation strategy (Powers et al., 2015). Regarding suggestibility, the profile of psychoform dissociation showed higher levels of suggestibility, absorption, and fantasize, but not impressionability. These results are in line with previous studies (Marcusson-Clavertz et al., 2012) supporting the hypothesis that absorption and fantasize may play a mediator role between dissociation and suggestibility (Dienes et al., 2009). Additionally, the profile indicates higher levels in alexithymia, especially in the confusion with bodily sensations and emotional language, but not in externally-oriented thinking. These findings corroborate the differentiation between alexithymia and dissociative processes (Tolmunen et al., 2010), which mainly diverge in propensity to fantasy. In personality, the psychoform dissociation presented a more neurotic profile, angry hostility, and depression, in line with previous literature, being more evident (Groth-Marnat & Jeffs, 2002; Marshall, Spitzer, & Liebowitz, 2000; Meyers et al., 2013). As for the other factors, the profile found indicated a higher level of excitement seeking (Ruiz, Pincus, & Ray, 1999) and fantasy (Merckelbach, Horselenberg, & Schmidt, 2002), but lower levels of warmth, gregariousness, agreeableness (Evren et al., 2013; Meyers et al., 2013) and conscientiousness (Groth-Marnat & Jeffs, 2002; Kwapil et al., 2002). This profile indicates a more vulnerable style of emotions and their regulation to achieve one's goals, lower level of rationality and planner, a grater search of emotions and fancifulness, with the perception of the world as a hostile place and with a more isolated and hard style. 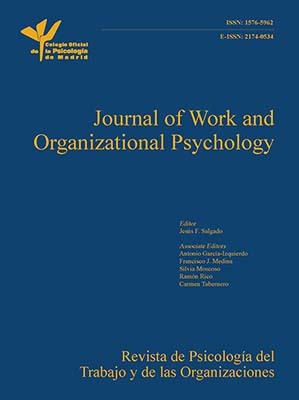 With regard to sleeping, results pointed out that psychoform dissociation is associated with sleep disturbances (conciliation, daytime sleepiness) and with greater presence of nightmares and lucid dreams, which is corroborated by previous studies (Knox & Jay Lynn, 2014; van der Kloet, Giesbrecht, & Merckelbach, 2015; van der Kloet, Merckelbach, Giesbrecht, & Broers, 2014). The somatoform dissociation profile found showed higher difficulties in emotional regulation, and more specifically in rejection, lack of control, and interference, as described in the psychoform disassociation profile. In suggestibility, the profile indicated a higher suggestibility, particularly in fantasize and suggestibility, not showing higher absorption levels. These profile differences between the two types of dissociation reveal a differentiation in the underlying processes, and therefore, it should be an objective for future research. In alexithymia, the profile showed greater somatization scores in emotional language, but especially in confusion with bodily sensations, which is in line with previous findings (Brown, Danquarh, Miles, Holmes, & Poliakoff, 2010). Those somatizers with a high profile in personality showed higher scores in neuroticism, anxiety, impulsiveness and, to a lesser extent, angry hostility, depression, self-consciousness, and vulnerability. According to the rest of factors d, they presented higher scores in excitement seeking and fantasy, and lower scores in trust, conscientiousness, self-discipline, and deliberation, with moderate differences in all them. The profile described in somatization was similar to that obtained in dissociation, but differences between low and high scores in somatoform dissociation are less evident in the different facets explored. These data suggest that this type of dissociation is related to more anxious profiles, which is consistent with those studies that related somatoform disorders with anxiety processes, the arousal, the hypervigilance to bodily sensations, and more avoidant profiles (Baslet, 2011; Brown et al., 2010; Novakova, Howlett, Baker, & Reuber, 2015). In terms of sleep, the profile found in somatization is the same as in the psychoform dissociation, highlighting the importance of these processes and symptoms in both types of dissociation. It is important to highlight that the present study presents some limitations related to the data obtained from somatoform dissociation, since the questionnaire used had not been adapted to the Spanish population yet. For future research, it should be important to evaluate the history of trauma and the sleep problems in both types of dissociation in a more comprehensively way, because they are closely related variables. Additionally, this study should be extended to clinical populations, in order to observe a possible vulnerability profile of dissociation. Holm O. (2002). SDQ-20 (Spanish translation). Retrieved from https://trastornosdisociativos.files.wordpress.com/2012/10/sobre-el-sdq.pdf. 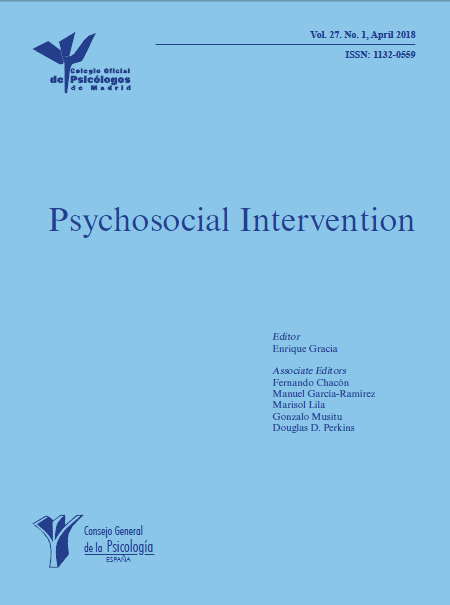 Childhood trauma and eating psychopathology: A mediating role for dissociation and emotion dysregulation?